Jocelyne Saucier talks about how she wrote her Governor General's Literary Award–shortlisted book And the Birds Rained Down. 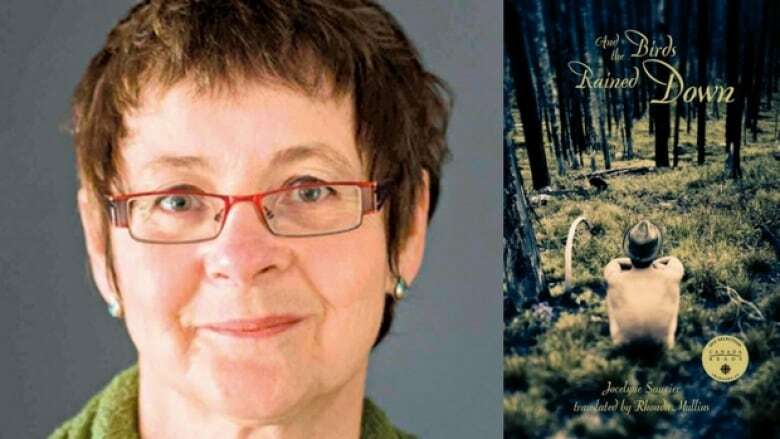 Jocelyne Saucier's inspiration for her book And the Birds Rained Down came from across Canada — from the forests of Northern Ontario to a psychiatric home in New Brunswick to the home of the book's French-to-English translator Rhonda Mullins in Montreal. 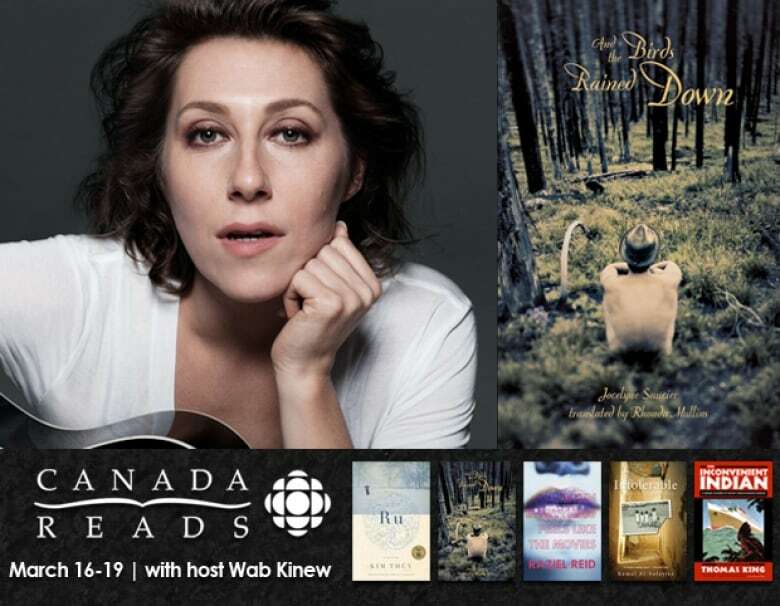 The book was a contender for Canada Reads in 2015, where it was defended by Martha Wainwright. Below, Saucier talks to CBC Books about meeting the children of the survivors of the great fires and the relative whose stolen life made its way into her book. "I have a friend who once told me that I write as if I work in a factory. Writing takes time, and so you struggle to find the time to write. The moment I started writing novels I also started freelancing. So I was doing research contracts and copyediting at home. Then I had children, so I started to write between contracts and when my children were at school. I would write from 9 a.m. to 4 p.m., Monday to Friday, from September to June. I've kept that rhythm even though my children no longer live at home. At the end of the day I always try to keep an idea that is not finished or a paragraph that I'm not happy with. I'll suspend story lines so that the next morning I don't arrive empty-handed and can take over from where I left off." "Rhonda Mullins has also translated another one of my books, Jeanne's Road. She then translated And the Birds Rained Down and is now in the process of translating another, which is going to be called 21 Cardinals. Usually she writes a first draft, translates it from cover to cover. Then we meet — often in Montreal — and she asks me somewhere between 50 to 100 questions. We spend hours going over them. I try to give her the philosophical or poetic essence of the book, but her questions are often very technical. She wants to know if a character is standing or sitting. She wants to have a very concrete image of what she has to translate. For instance, one time I wrote 'Un type qui était bourré de feuillards.' She wanted to know what I meant by 'feuillard' because she didn't understand its meaning. I told her that in this case 'feuillard' meant money. It meant that the person was 'stinking rich,' while she had interpreted it as 'covered in leaves.'" "While writing this book I met some of the children of the survivors of the great fires. The last survivor had died maybe 10 years ago, so their children are quite old. I met a lady who was 85. Her father had survived the great fires and she now lived alone in a big house in Matheson. She told me something that stuck with me. Her father had told her about all the birds that had died in flight because of the smoke and lack of oxygen. He had said, 'They were dropping like flies.' That phrase stayed with me. Matheson is about a two-hour drive from my home, and I had gone to meet this woman with a friend of mine. While we were returning home, my friend said 'What a sentence,' and I knew instantly what he was talking about. This sentence made the rounds in my brain. 'They were dropping like flies.' Then it turned into 'They were falling like rain,' and then 'They fell like rain.' Then it arrived in French — 'Il pleuvait des oiseaux.' And then in English — 'And the Birds Rained Down.'" "The character of Marie Desneiges is a real person. I have an aunt named Marie-Ange who was put away at the age of 16. She died at 87 in a residence for former psychiatric patients. About eight years ago my husband and I took a trip to New Brunswick and we decided to visit her. I didn't know this aunt very well. I had only met her once as a child. It was very emotional, very upsetting. She lived in a small room that she had shared for 30 years with a woman who was intellectually deficient, while my aunt was still lucid. She had a lot of anger because she knew that someone had stolen her life. We spent the day with her. We then returned home. It took us two days to drive back. There was a moment in the car I remember very well. I was driving and I said, 'I'm going to give her a life.' I didn't know how, but then she appeared in this novel. "The whole time I wrote this novel, I wrote to her and she wrote to me. I called her at Christmas, at Easter. I sent her small gifts, but I never told her I was writing a book or that I was a novelist. I finished the book and was tweaking it when the residence phoned and told me she had had a major heart problem and had been hospitalized… a week later they called me again to tell me that it was really the end. I talked to her on the phone and I told her that I was writing this novel, and that I dedicated it to her. It meant that all the people who were going to open this book would see her name — because it was dedicated to Marie-Ange Saucier. They would know that she had lived. I did this to honour the woman she had been." Jocelyne Saucier 's comments have been edited and condensed.